A surprisingly large and boisterous turn-out greeted Team USA and Team Europe on Thursday when the Mosconi Cup team tournament made its U.S. debut at the MGM Grand Hotel/Casino in Las Vegas, and the players didn’t disappoint. In a five-match mix of singles and doubles play, the U.S. squad closed out the opening day with a 3-2 advantage in the race-to-11 tournament. Uncertain of how the Mosconi Cup, wildly successful for nine years in London, would fare in America, promoter Barry Hearn of Matchroom Sport was overwhelmed by the 300-plus fans that filled the arena for the 11 a.m. opening lag. “This is absolutely fantastic,” said Hearn, who hopes to switch the Cup to a home-and-home series from this point on. Bouyed by nearly 100 Euros who made the pre-Christmas trek to Las Vegas, the first day featured raucous cheering for the two sides. 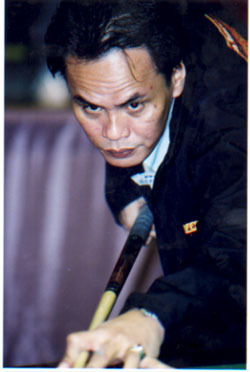 The opening match featured Johnny Archer, pool’s hotest player, against reigning World Pool Champion Thorsten Hohmann of Germany. Archer jumped to an early lead, and held on for a nerve-wracking 5-4 win in a match that lasted some 90 minutes. Europe tied the match when the Scandanavian duo of Marcus Chamat and Mika Immonen rolled to a 5-1 win over Tony Robles and Charlie Williams. 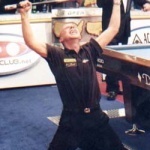 The U.S. took a 3-1 lead after Rodney Morris made an impressive Mosconi Cup debut with a 5-3 pasting of Ralf Souquet, and the team of Earl Strickland and Jeremy Jones squandered a 4-0 lead, but outlasted Steve Davis and Nick Van den Berg, 5-4. Europe stayed within striking distance of the Americans when Immonen topped Archer, 5-3, in the day’s final match. 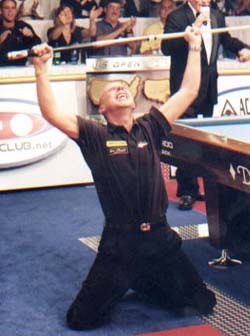 For more information and photos from the 2004 Mosconi Cup, and match-by-match updates, go to www.mosconicup.com. REGARDLESS OF how Circuit Court Judge Bruce H. Kushner rules in promoter Barry Behrman’s probation violation hearing on Sept. 8, the 28th U.S. Open 9-Ball Championship will get underway as scheduled on Sept. 15. And Behrman’s longtime tournament staff is expecting another huge field, playing in front of another jam-packed crowd at the Chesapeake Convention Center in Chesapeake, Va. While the size of the field may be close to its 2002 level, the quality of the field figures to be as strong as 2002… if not stronger. 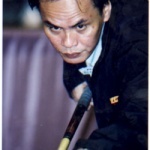 With the United States Professional Poolplayers Association (UPA) granting waivers to its players, and the 2002 event having been void of last-minute payout surprises, a number of top pros have indicated that they would, indeed, play in the 2003 Open. Also scheduled to play is defending champion Ralf Souquet of Germany. It is possible, however, that the U.S. Open may miss out on some top foreign players, as the World Pool-Billiard Association has informed its member federations that the event is not WPA-sanctioned. Meanwhile, the 57-year-old Behrman sits in a Chesapeake correctional facility awaiting his fate. Jailed after a second probation violation, Behrman could be released after his Sept. 8 court date, or he could spend as much as six years behind bars. Behrman was convicted in 2002 of a pair of felonies stemming from illegal gambling parties at his Chesapeake home. Until Sept. 8, Adams said he and his tournament crew will continue preparing for the 28th annual edition of America’s biggest pro tournament. Despite Thursday’s massive power outage, which brought New York City to a virtual standstill, the Big Apple 9-Ball Challenge at Master Billiards in Queens will kick off Friday afternoon as scheduled. According to tournament director Alexandra Dyer, power has been fully restored at the billiard club, and a stellar 90-player field is slated for action. Dyer added that several players phoned in, citing difficulties in getting into the city, but that their arrivals were imminent. Buoyed by the attendance of star players who participated in the eight-player International Challenge of Champions, held Wednesday and Thursday in nearby Uncasville, Conn., and won by Francisco Bustamante, the Big Apple 9-Ball Challenge field includes Bustamante, Efren Reyes, Holland’s Nick Van den Berg, Germany’s Ralf Souquet and American Johnny Archer. The $20,000-added tournament runs through Sunday. In a mad dash to hold off pesky challenger Alex Pagualyan and complete the final match before Pay-Per-View satellite feeds went “to black,” Germany’s Ralf Souquet scored a heart-pounding 13-11 win in the final of the 27th U.S. Open 9-Ball Championship in Chesapeake, Va., Sunday night. Souquet’s triumph over the Canadian contender was completed just three minutes before the plug was to be pulled on pool’s first pay-per-view effort, and brought the normally emotionless German to his knees in exultation. In winning his first U.S. Open title, Souquet earned $30,000 from the $150,000 prize fund. Pagualyan, the 24-year-old Canadian-by-way-of-the-Philippines, played 11 consecutive matches in the loser’s bracket of the 215-player field, and earned $15,000 for his efforts. Five-time U.S. Open champion (and reigning WPA World 9-Ball Champion) Earl Strickland finished third ($10,000), followed by Hawaiian Rodney Morris ($7,000). Ralf Souquet dominated Johnny Archer in the finals to win the IBC U.S. Championship, his second straight IBC event title. Souquet took the title from Archer in straight sets, 6-1, 6-1, at J. O. B. Billiards in Nashville, Tenn. Following about a week of on-site qualifiers, the event ran Sept. 13-15. Souquet also racked up wins over Travis Stamper, 6-2, 6-3; local player Bobby Pickle, 6-4, 6-1; Japan’s Tetsu Haraquchi, 6-3,6-2; Jimmy Reid, 6-0, 6-1; and Canada’s Edwin Montal, 7-6, 6-1; before going on to crush Archer in the finals. If $80,000 in prize money weren’t enough of an incentive, the event offered a unique chance for glory: The winner is to be immortalized in a wood carving commissioned by room owner Jim Blaylock.